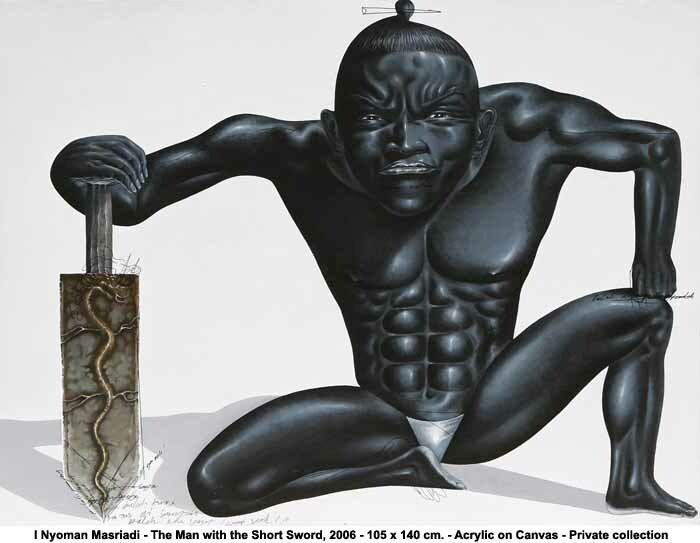 Singapore Art Museum (SAM) is proud to present Masriadi: Black is My Last Weapon, the celebrated contemporary Indonesian artist I Nyoman Masriadi’s first regional and international solo exhibition. This show forms part of SAM’s exhibition programme in showcasing works of key modern and contemporary Southeast Asian artists, continuing on from solo exhibitions such as Affandi and Widayat in 2007. This new exhibition highlights Masriadi’s unique visual language of painting – striking visual vocabulary and visual imageries strongly influenced by anime, cyber-gaming and comics. The exhibition features over 30 selected works from private collections in Indonesia, Singapore and Hong Kong, including early works from 1998 to latest works. The Singapore Art Museum (SAM) and Asia Pacific Breweries (APB) Foundation have announced the 10 shortlisted artists for the inaugural Asia Pacific Breweries (APB) Foundation Signature Art Prize. A panel of international jurors selected the 10 finalists from an initial list of 34 nominees from 12 countries. The shortlisted artworks are from Cambodia, China, India, Malaysia, Mongolia, Singapore, Sri Lanka, Thailand and Vietnam. The distinguished jury comprises Henri Chen KeZhan, one of Singapore’s most established artists and a pioneer in contemporary Chinese painting; Simon Israel, Chairman of the Board of Trustees at Asia Pacific Breweries Foundation; Kwok Kian Chow, Director of the Singapore Art Museum; Dr Apinan Poshyananda, Director-General of the Office of Contemporary Art and Culture, Ministry of Culture, Thailand and Professor Xu Jiang, President of the China Academy of Art, People’s Republic of China. “The judges were struck by the concepts behind the 10 finalist works and how these ideas were conveyed creatively through the artists’ use of mediums and choice of material.” Dr Apinan Poshyananda said. “We were impressed by the overall quality of the entries and what this signifies in the Asia Pacific art scene,” he added, referring to the 34 nominated artworks from which the jury had to shortlist the finalists. In mid-October, the 10 finalists will be judged for five awards – three Juror’s Choice Awards of SGD 10,000 each, a SGD 10,000 People’s Choice Award and the Grand Prize of SGD 45,000. The finalist artworks were shortlisted from a collection of 34 contemporary artworks selected by the nominators in each of the 12 eligible countries – Cambodia, China, India, Laos, Malaysia, Mongolia, New Zealand, Papua New Guinea, Singapore, Sri Lanka, Thailand and Vietnam. With their diverse themes and mediums, the nominated artworks represent what the nominators – who are knowledgeable and experienced individuals in contemporary art – consider outstanding contemporary artwork produced in their country in the last three years. The People’s Choice Award is distinctive in that it is the only award that is not conferred by the jury. Rather, it is bestowed on the finalist artist whose work receives the most public votes on an online voting website which will be launched on 1 August. The voting website is intended to be a platform for the public to vote for their favourite artwork. Voting on the website ends at 7 pm on 12 October. To cast your vote : http://www.nhb.gov.sg/sam/signatureartprize/vote.html . Singapore Art Museum (SAM) and Xu Beihong Museum are proud to present Xu Beihong in Nanyang, a solo exhibition on one of the most seminal figures in the history of modern Chinese painting. Featuring 90 works, selected from both public and private collections from around the world, this exhibition serves as an unprecedented opportunity to examine many of Xu’s most important works completed in Southeast Asia and India, a number of which have never been exhibited publicly before. 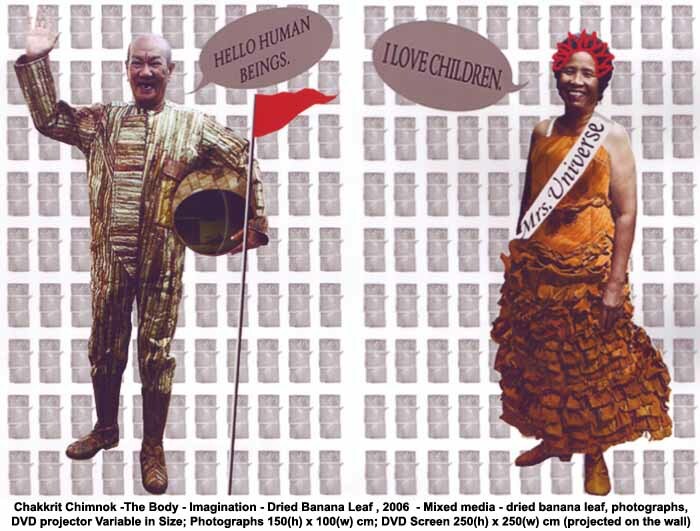 On view 5 April through 17 August, 2008. Singapore Art Museum (SAM) and Xu Beihong Museum are proud to present Xu Beihong in Nanyang, a solo exhibition on one of the most seminal figures in the history of modern Chinese painting. Featuring 90 works, selected from both public and private collections from around the world, this exhibition serves as an unprecedented opportunity to examine many of Xu’s most important works completed in Southeast Asia and India, a number of which have never been exhibited publicly before. On view 5 April through 13 July, 2008. Born in China in 1940 and a French citizen since 1998, the cosmopolitan, multidisciplinary artist Gao Xingjian has been conferred many awards in France and Italy for his accomplishments in the literary, performing and visual arts. Gao is also the first ethnic Chinese to win the Nobel Prize in Literature, for the literary work Soul Mountain. Singapore Art Museum (SAM) is proud to present Gao Xingjian in Singapore – a dialogue session with Gao Xingjian. Conducted in Mandarin, English and French (with translations), the dialogue session represents an exclusive opportunity for participants to experience Gao up-close, as well as explore his avant-garde visual art practice, theatrical and literary writing. Following Gao’s extremely well-received first Asian retrospective exhibition at the Singapore Art Museum in 2005, the dialogue session as well as the related programmes promises to be another significant artistic as well as media event to watch. Says Director of Singapore Art Museum, Mr Kwok Kian Chow, “In approaching Gao’s first retrospective art exhibition in Asia in 2005, the Museum did not begin with painting but with language – through commissioning essays and organising lecture series as part of curatorial research work – in tandem with Gao’s aesthetic trajectory. This year, the dialogue session with Gao will contribute toward earlier scholarship undertaken on Gao’s artistic practice, and provide personal insights into Gao’s inner artistic vision.” Dialogue session proceedings will be recorded for further development, research and archival purposes. Adds Mr Kwok, “It is hoped that the recording can contribute research insights on the development of Chinese literary and visual arts internationally.” The forum is organised as an official event of the 2007 Initiation International Festival in Singapore, the session will include a video screening of Gao’s selected theatre works. Gao is an acclaimed novelist and playwright. The literary award winner is also well known for his ink paintings. Currently residing in Paris, he paints in ink and has held about 30 world-wide exhibitions spanning across Asia, Europe and the United States. To further contribute to this event, Gao Xingjian will donate his masterpiece, Day and Night, to Singapore Art Museum. In Day and Night, various figures are seen moving across a landscape. The scene progresses from the sun-lit aspects on the left of the painting, through the middle section representing dusk, onto night. In Gao’s works of literature and art, he communicates the idea of consciousness of self. He sees this consciousness as divided into three stages represented by first person, second person and third person status; otherwise known as I, You, and He/She. The movement of the figures in Day and Night is thus akin to a personal journey of self, in which a person moves from the various stages of consciousness, to return to the original starting point in a circular and never-ending motion, while the monochromatic shades of grey represent the reality of human existence. This work is featured in The Big Picture Show, an exhibition on the muralist tradition in Asia.